What a punch, and what a fighter. 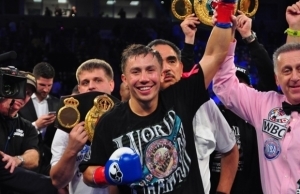 Can anyone truly deny Sergio Martinez the title of Fighter of the Year? Martinez is now stuck between a rock and a hard place. There are very few viable contenders out there for him. Sturm wont fight him, so who else is there? I wouldn’t mind seeing Pirog get the chance but it could come a little to soon for the Russian slugger. The only other meaningful fight for me would be a rematch with Kelly Pavlik, who in my opinion was winning the fight until he was cut in the ninth round of their first fight. 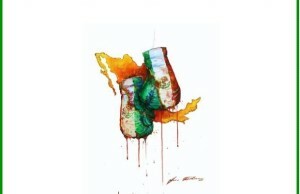 Prizefighter in the UK was a huge success and the most exciting Prize fighter yet. The fact a Welshman won the event also helped. Following hot on the heels of the Micky Ward film, The Fighter, it looks as though Roberto Duran is next in line for the film treatment. One word, awesome. Looks like Pacquiao has his third 1+million PPV event in 3 years. The fans deserve all they get from now on. Floyd has been a naughty boy again. According to the Las Vegas Journal, Floyd was involved in an incident which led to a car being run off the road. It is obvious to anyone with one eye that Floyd is an amazing boxer, but it’s equally obvious he lives in his own little world. 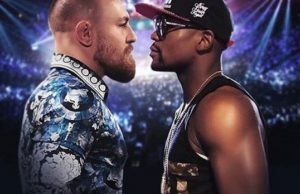 If the allegations are true, its time to forget about Pacquiao v Mayweather and time to accept that Floyd is either going to get himself killed soon, or that he is going to jail for a long time. WBA have apparently held a meeting and improved their rankings. If anyone can understand what they’ve actually done to make them better please drop me a line. They have also published their yearly awards. Fighter of the year – David Haye. Need I go on? Lets get to this week’s fights. Mathew Hatton returns on Friday. The question is does anyone really care? Abraham v Froch is finally here. We get to watch this fight live from the boxing hotbed that is Helsinki. Despite the stupid location, this really does have the potential to be fight of the year. Both fighters are seeking redemption after their first career loss, and both have already qualified for the semi finals. People forget that they are likely to have a rematch in the semis. Fun for all in Finland. For those wondering, I predict a Froch split decision win. Time to give GBP and HBO a little bit of credit they have put together one hell of a card this weekend. Nate Campbell returns at 135lbs, a weight he claimed he could no longer make. With his opponent being Walter “thanks for the payday” Estrada, Campbell’s toughest fight will be the one with the scales. Erislandy Lara takes on Tim Connors. Lara has to step up after this, you cannot keep on feeding prospects easy wins. 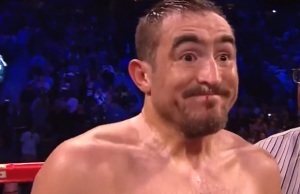 Have people already forgotten what happened to Daniel Jacobs and Victor Ortiz? Celestino Caballero moves up a weight division to fight Jason Litzau. Caballero is borderline p4p fighter that has been searching for that career defining fight for a long time now. Unfortunately, this fight is not it. Andre Berto picks up a very nice payday with a sparring session against Freddy Hernandez who has been generously ranked tenth by the WBC. You have to love Al Haymon, he persuaded HBO to pay 3.2 million for this fight. I wonder if I could hire him to be my manager for my articles. Andre Ward takes on Sakio Bika in a non Super Six bout. Does anyone really care? Sure, it’s not Ward’s fault that circumstances have conspired against him, but Bika? Really? The guy got DQ’d in the first round of his last fight and has never done anything special in the ring. I have not forgotten about Marqeuz/Katsidis, there will be a full preview up soon, but just in case you cant wait for the article, one word: WAR.